Ishasha Wilderness Camp is an exclusive tented camp that offers quality accommodation in the unspoilt remote southern sector of Queen Elizabeth National Park. This region is famous for the tree-climbing lions that can sometimes be spotted resting in the branches of the large fig trees in the area. Ishasha Wilderness Camp provides excellent game viewing opportunities, with buffalo, elephants, kob, topi and other species of antelope all common. Ishasha Wilderness Camp currently caters for up to twelve guests in six large twin-bedded, East African meru styled tents situated in the wooded area besides the Ntungwe river. Each tent has its own dressing area and also private ensuite bathroom providing hot water “bush” showers and an eco-friendly toilet. Two more tents are planned in the near future. A central dining area, also under canvas, provides a comfortable environment for meals and an outdoor lounge area besides the river, and evening “fireplace” venue for guests completes the unique bush experience offered at this camp. Location: Inside the southern Ishasha sector of the Queen Elizabeth National Park on the Ntungwe river. Rooms: 10 luxury canvas tented rooms. 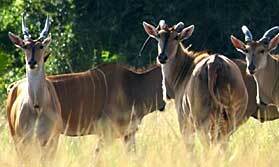 Activities: Game drives, guided bush walks, bird-watching and community projects. Facilities: There is a cetral lounge/dining area under thatch and a cosy fire place for guests to relax and enjoy the river view. Dining: Meals are served in the dining thatch or in a shaded area by the river al fresco-style. Children: Children of all ages are welcome but bush walks require an age limit of 15 years and over. Communication: There is a limited mobile reception, no direct ‘phone or fax and no internet. 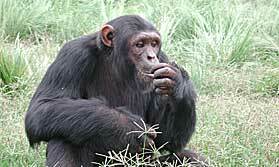 Gorillas, chimps and game on a group lodge-based safari in Uganda. 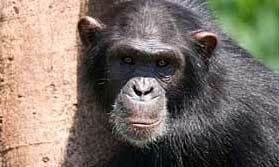 Highlights of Ugandan wildlife including gorilla and chimp trekking. 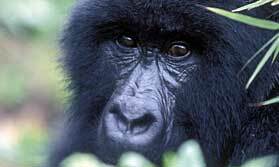 From Murchison Falls, to wildlife in Queen Elizabeth NP, chimps in Kibale and gorillas in Bwindi. "The best of all. Food was amazing. Room opened onto a tree covered in WeaverBird nests. Bucket showers arrived on time, perfect temperature, and those Eco credentials. Also the best library of the lodges. We even had the place to ourselves on one of the nights. Oh and did we mention the food! One advantage of being here in the off season is that the park was relatively free of people and vehicles. So we had hours of uninterrupted time with those tree climbing lions." "Lovely camp with wonderful food and customer service. Idyllic setting. We really liked the evening we 'ate out' next to the fire on the banks of the river. " "Just amazing - not just the tents but the wild life at night." "Lovely position, did not need the bottles. Again a personalised service"